How many people have a tattoo that teaches them magic? While trying to outrun the local bully, Abel trips over a stone slab and something wakes up. After it helps him escape, Abel returns the favor and breaks the binding seals and finds himself apprenticed to Ferryl Shayde. Once Ferryl takes up residence as a tattoo on his arm, Abel can see the magical creatures that live alongside us every day. Not the ones of folk tales, but their scruffy, slimy, fanged cousins. Worse, he finds that the pact that should keep them under some sort of control has failed. 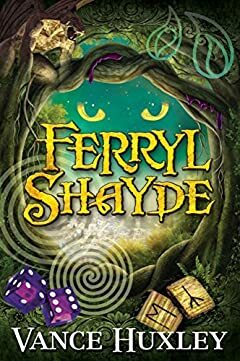 Magic is easy, controlling it can be lethal, and by letting Ferryl Shayde out Abel has aroused the unwanted interest of others. If only it was just a board game, like the one he is creating with his friends. Unfortunately, it turns out the other way around and the players begin to discover real magic.